ePublishing Knowledge BaseePublishing Knowledge BaseePublishing Knowledge Base Creating, Managing & Selling SubscriptionsHow do I create a standard free trial? Trials that end and are not converted into recurring paid subscriptions. Trials that do convert into recurring paid subscriptions. This article is about scenario 1, a free trial that does not convert to a paid subscription. For this scenario, when the user's trial expires, then the user will not be a subscriber and will not have access to locked down content. 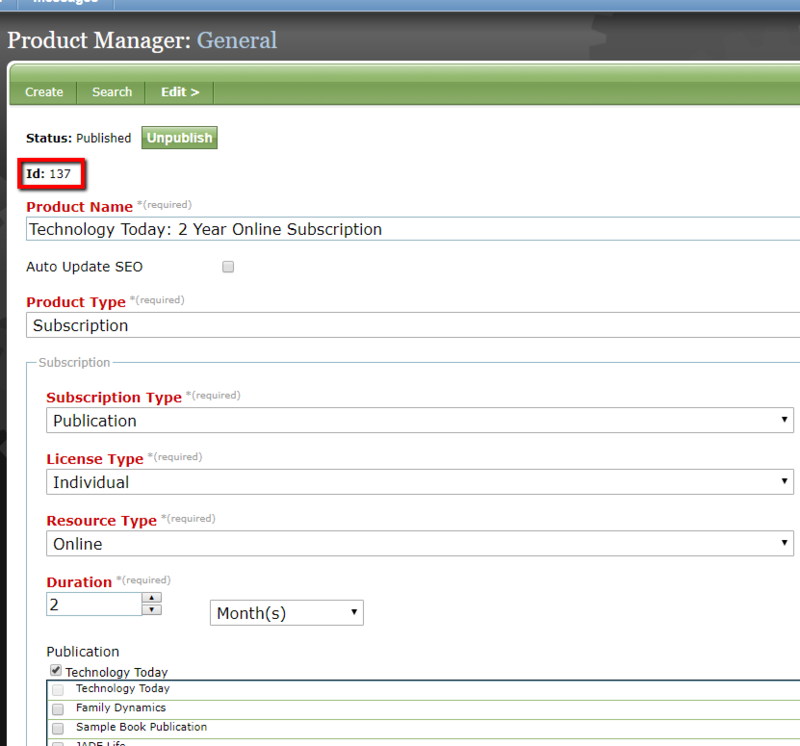 If you are interested in scenario 2, then please see How do a I create a trial that converts to an active subscription? Determine the length of the trial by editing a system setting. To determine the length of free trials on your site, then update the system setting free.­trial.­term. Note: some sites use other system settings to control the duration for a standard free trial. Talk with your Project Manager to determine which system setting is appropriate to edit for your site. Go to Sys Admin > System Settings. Click Create & Edit. Edit the system setting free.trial.term with a whole, positive integer. The unit is in days, so delineate the number of days. Click save when you are done. Note the product id of the product you want to create a trial for. When your product is created, then note the product id. The front-end template users will complete to sign up for a free trial is /subscriptions/trial/id. The id is the product id that the free trial is for. 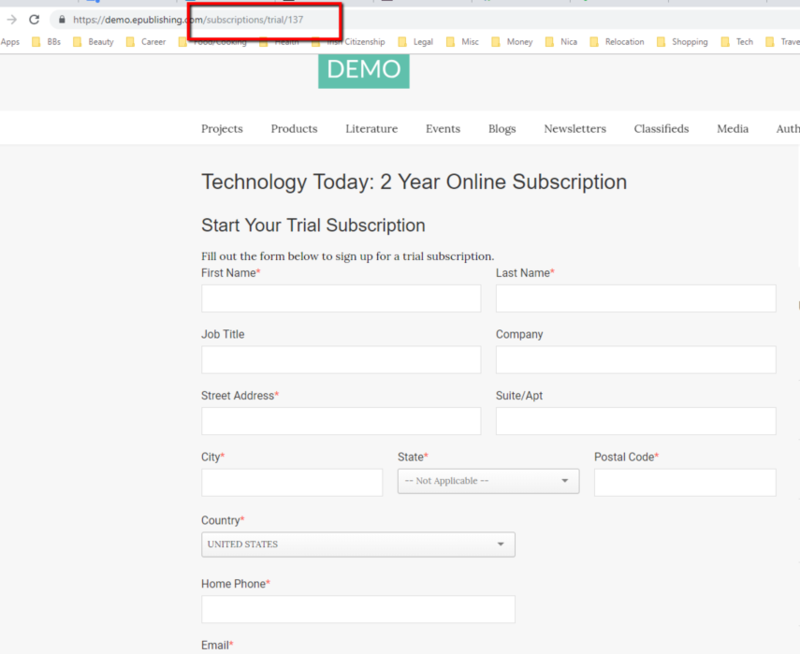 For example, if you have product 137 which is for a subscription to a publication and you want to create a free trial to that subscription, then direct users to /subscriptions/trial/137. Users simply complete the form and the free trial is automatically created. Prev: How do I create a recurring billing / automatically renewing subscription product? 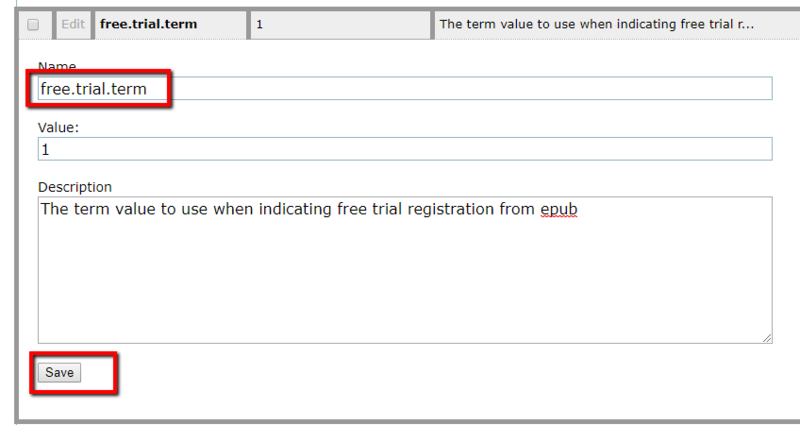 Next: How do a I create a trial that converts to an active subscription?